The American College of Greece | Reuse Week at Deree! Home » News & Events » News » Reuse Week at Deree! 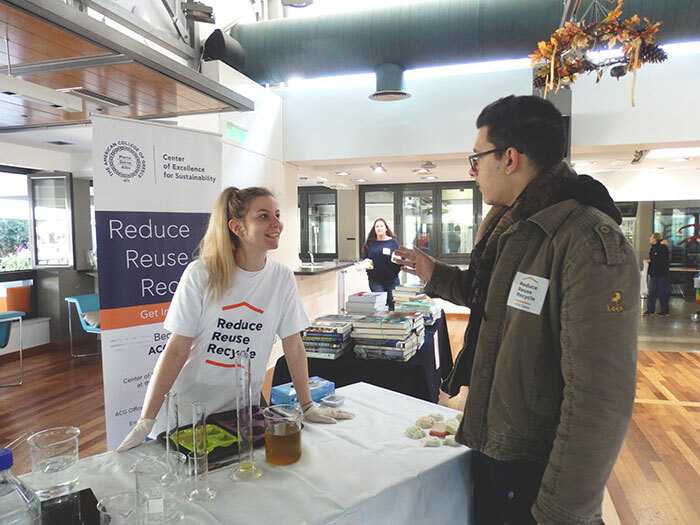 The Center of Excellence for Sustainability (CES) at the Office of Public Affairs, with the support of the Office of Student Affairs and the Environmental Studies Society, organized a week filled with reuse activities in the context of the ACG Waste Reduction and Recycling Campaign, from February 26 to March 2, 2018. The purpose of the week was to spread the message that everything is a valuable resource and to show how we can reuse and repurpose materials which we would otherwise throw away. 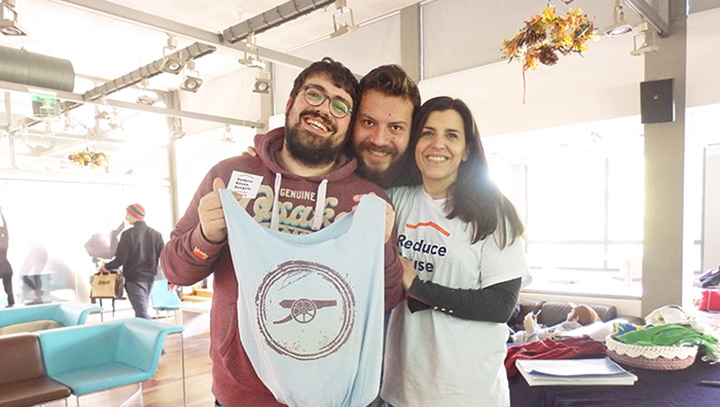 The activities included a week-long book and board games drive to gather materials for donation to the Navarino Environmental Observatory Library and the SOS Children’s Villages, and a day with sustainable workshops centered on the theme of ‘Reusing/Repurposing’. The two sustainable workshops took place on February 28 at the Deree Student Lounge. Participants learned how to make their own soap with cooking oil and how to transform t-shirts into reusable bags. “Reusing and re-purposing materials diverts them from the waste stream and saves us from enduring the social, environmental and financial costs of an ever expanding ‘waste-horizon’. From the scale of the small to the scale of the big, we aim to turn the recovery concept into a habit; why not even an art-form.”, says Dr. Michael Valahas, Director of the Center of Excellence for Sustainability.